I'm excited about seeing the world premiere of a new full-length Alice in Wonderland ballet at the Royal Opera House next month*. Created by Christopher Wheeldon and performed by The Royal Ballet, Lewis Carroll’s famous Victorian childhood story of Alice and her encounters with extraordinary people, strange creatures and unusual events is set to be the must-see theatre event of the year. 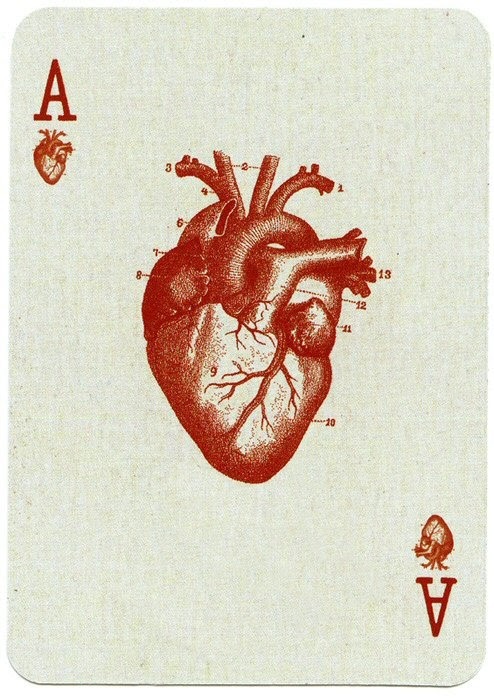 So with that in mind, being a big fan of Alice in Wonderland and with a firm fixation on the iconic playing card, this is the best Valentine's "card" out there, courtesy of ffffound.